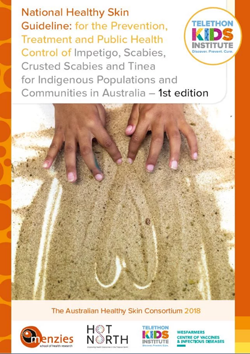 IHR post-doctoral research fellow, Dr Aime Powell, is investigating the impact of the WA cervical screening program and national HPV vaccination program on Aboriginal women’s health outcomes. As part of her studies, Aime is keen to ensure her work has an impact on the women she sees all too often in the cancer statistics she analyses. Flying to Broome, she recently met with key stakeholders to try and appreciate real world barriers. 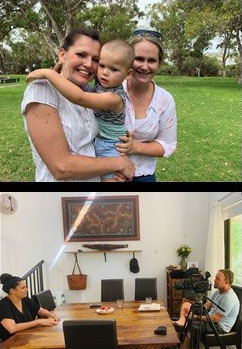 In partnership with SJoG Subiaco Hospital, the Australia Gynaecological Cancer Foundation, Kimberley Aboriginal Medical Health Service, the WA Cervical Cancer Prevention Program, UWA and the IHR, Aime has created some short videos of two women who were cervical cancer survivors sharing their experiences and imploring other women to be screened. These will be released later this year. 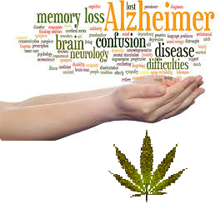 News broke in early April that IHR researchers were about to commence a study aimed at evaluating the potential of medical cannabis in improving the quality of life of people with dementia. The story was covered by many news outlets including The West Australian and Australian Ageing Agenda. 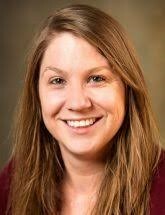 Dr Amanda Timler, a recent PhD graduate from Notre Dame, is being funded by the pharmaceutical company MGC Pharmaceuticals to undertake the study with support from Professors Jim Codde, Max Bulsara and Assoc Professor Caroline Bulsara. While it is unlikely cannabis based products can reverse the disease or improve memory loss, there is some evidence it may help alleviate agitation and aggression resulting in improved quality of life. Worldwide interest in this type of research is evidence in recent scholarly articles like this one but further work is required. The current study will be completed by mid-2020. IHR staff and HDR students have said goodbye to Danish PhD student, Nanna Bjerg Eskildsen, after she return back home after a brief stay working with A/Prof Caroline Bulsara. Nanna traveled around WA for a few weeks got to swim with whale sharks and hike in the incredible gorges in Karijini. Hopefully this is just the beginning of a longer collaboration between Caroline and Nanna as they plans for another article comparing Nanna’s empowerment questionnaire the CPEQ and Caroline’s questionnaire the PES. On parting, Nanna said “One thing is for sure, I’m definitely coming back to Australia again!” We certainly hope she does. 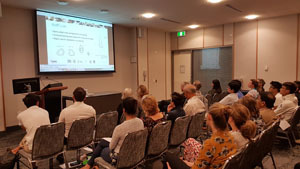 Research was showcased by WA Bone Research Collaboration (WABRC) at their Inaugural Professional Network Meeting held March 7 at University Club. The meeting was chaired by Dr Paola Chivers, founder and co-lead of WABRC. The keynote address “From little things, big things grow!” was delivered by Professor Beth Hands. The showcase had snap shots of clinical perspectives Adjunct Professor Aris Siafarikas (Perth Children’s Hospital) and Professor Richard Prince (Sir Charles Gairdner Hospital); exercise prerecording with Adjunct Dr Timo Rantalainen, cancer perspectives with Adjunct Nicolas Hart and nutrition Dr Marc Sim (ECU). Clinician Dr Kiranjit Joshi discussed her PhD research in Osteogenesis Imperfecta. The networking event brought together a range of guests from the clinical, research and community settings. WABRC continue to strive toward community driven high quality research using effective interventions. They have a number of future research endeavours underway or in planning stage with future research opportunities becoming available. To keep abreast of all the WABRC action follow us on www.twitter.com/WABRC. Several researchers within the IHR are involved with researchers in the $5 million Continuous Improvement in Care – Cancer project being led by Professor Christobel Saunders. 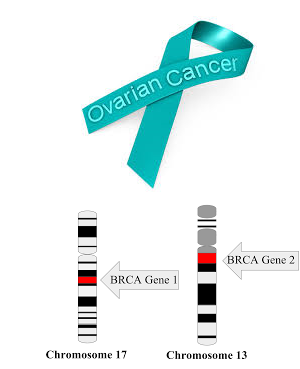 One of the sub-studies in the project involves working with women diagnosed with ovarian cancer. As part of the national ovarian cancer awareness month, IHR adjunct, Professor Paul Cohen, and Associate Professor Caroline Bulsara were recently cited in a story in the Sunday Times that is seeking to identify patient reported outcomes measures that matter most to the women. A copy of the article can be read here. 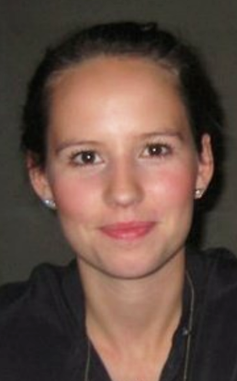 Assoc Professor Caroline Bulsara is hosting a Danish PhD student, Nanna Bjerg Eskildsen at the IHR. Nanna is in the final year of her doctoral studies and is developing and testing a Danish cancer patient empowerment measure for patients post active treatment. Nanna’s work is very much in keeping with the focus of Caroline’s previous doctoral studies in the area of cancer patient empowerment and instrument development (Patient Empowerment Scale or PES). Aside from co-authoring two publications, they are testing the PES alongside the Danish instrument with 2,000 Danish cancer patients. Nanna has also linked into the QEII SolarisCare research team (of which Caroline is a member) and will be hosted by team leader, Professor David Joske to speak in March about her work and how it translates into an Australian context. Following a year of working closely together to develop a research proposal and obtain HREC approval, the IHR and MGC Pharmaceuticals have just entered into agreement to undertake a study into the psychosocial benefits of medical cannabis in patients with dementia. Working with local aged care facilities, the research team will involve the residents, a family member and residential carer to assess how the orally administered drug impacts of the participant’s quality of life, anxiety and other behavioural measures. The project is being coordinated by recent UNDA PhD graduate, Dr Amanda Timler who can be contacted for further details. The IHR has introduced a new online appointment booking system to make it easier for staff and students to find a mutually convenient time to talk to one of our biostatisticians. The system automatically syncs with the IHR staff calendars so their availability is easily seen. People wanting to book a meeting will receive an email so the event can be added to their calendars and also receive links that can either cancel or reschedule the planned meeting if required. Link to the booking system can be find on the IHR web site or by clicking here. PhD student, Gloria Sutherland, was the recipient of Curtin University’s 2018 Alumni Achievement Award for Community Service. This award is open to all Curtin graduates who have made a significant contribution to the wellbeing of others. During her working career, Gloria led the Western Australian Cervical Cancer Prevention Program, was the Director of Kimberley Population Health Unit and was a senior policy officer who made significant contributions to establishment the national bowel cancer screening program. Since “retiring” Gloria spends her time undertaking her PhD studies at Notre Dame into the health needs of older, homeless women in the Perth metropolitan area. 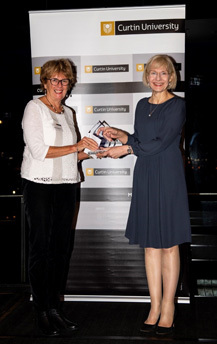 The photo shows Gloria receiving her award from Curtin University’s Vice Chancellor, Professor Deborah Terry. In late 2017, a collaborative research team led by Professor Christobel Saunders, that included three IHR academics, won a substantial grant from the Cancer Research Trust to bring value-based healthcare into the public and private hospital settings for cancer patients. The project, “Patients First: The Continuous Improvement in Care Cancer Outcomes” has caught the interest of many organizations and health services. As a result, Christobel and co-Chief Investigator, Dr Angela Ives, were invited to present a project update as part of Research Week held recently at Sir Charlie Gardiner Hospital. Further details on the project can be found here. 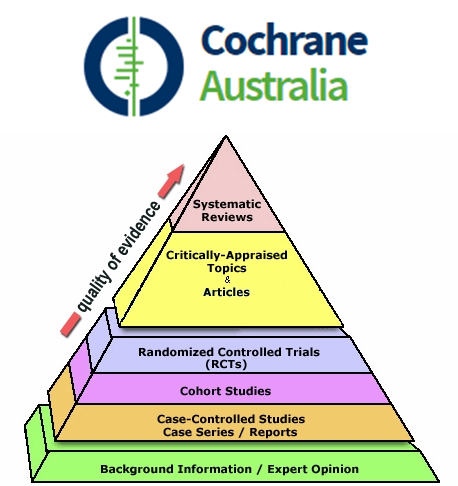 The IHR has arranged with Cochrane Australia to run a course on undertaking a systematic review and meta-analysis on 6-7 November on the Notre Dame Fremantle campus. Professor Max Bulsara will be co-facilitating the course with other experts from Monash University and UWA. University staff, higher degree students, and external academics and researchers are invited to attend by registering their interest here. PhD student, Ranila Bhoyroo, is well on her way to complete her studies with the release her first research paper titled “Investigating motor planning in children with DCD: Evidence from simple and complex grip-selection tasks” in the journal of Human Movement Science. 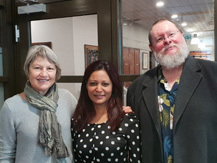 The accompanying photo shows Ranila with her two supervisors, Professor Beth Hands and Dr Adam Wigley. Ranila has also just returned from Utrecht, Holland, where she received specialist training in the analysis of MRI scans used in her research. Older single women are one of the fastest growing sections of the community experiencing homelessness, often for the first time. Gloria Sutherland is undertaking a PhD examining “The impact of homelessness on the health status and health needs of older women in the Perth metropolitan area”. 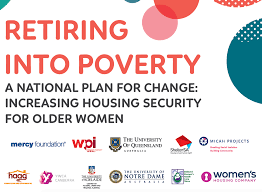 As part of an extensive national network developed during the course of her studies, Gloria brought her insights into a recent report “Retiring into Poverty” by the Mercy Foundation’s National Working Group that contains recommendations for policies and actions to enable older women access to affordable, safe, secure and appropriate housing and enjoy good health as they age. IHR researcher, Dr Aime Powell, was recently awarded the 2018 Cindy Sullivan Fellowship by the Australian Gynaecological Cancer Foundation. This two year fellowship will provide Aime with a salary and some project funds to enable her to undertake her project entitled “Aboriginal women at increased risk of cervical cancer incidence and mortality: Quantifying the risk in an era of national prevention programs”. Aime’s research is also supported by St John of God Hospital Subiaco with the close clinical input from Adjunct Professor Paul Cohen. Aime has a passion for research in the field of gynaecological cancer as highlighted in her most recent paper titled RANZCOG Fellows’ adherence to guidelines following cytological prediction of cervical adenocarcinoma-in-situ: Cause for concern? that was published in ANZJOG. IHR researcher, Professor Beth Hands, reached another milestone by successfully seeing the graduation of two of her HDR students. 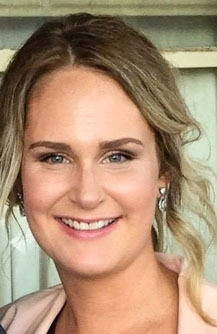 Casey Murphy’s Master of Philosophy thesis was titled “Parent rated importance of active play and organised physical activity for young children: The parents’ perspective.” Casey was co-supervised by Dr Duncan Picknoll. 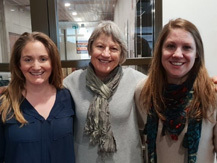 Amanda Timler completed her PhD which was titled “The Who.i.am Study: Identity formation and motor competence among adolescents.” She was co-supervised by A/Prof Fleur McIntyre. Both students were enrolled through the School of Health Sciences. 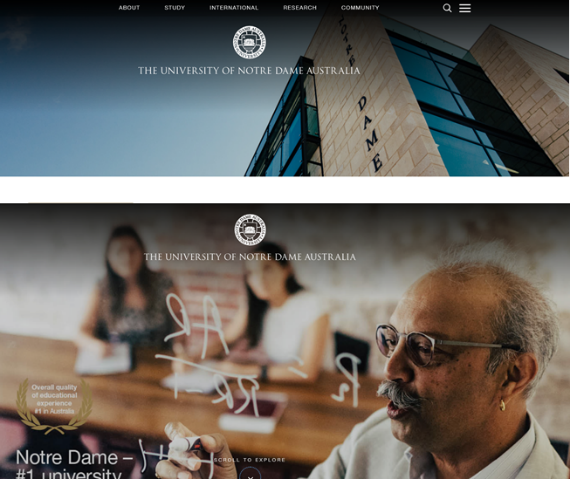 Notre Dame has just launched its new web site which provides a more modern and interesting description of the courses and activities available at the University. One of the ‘Stars’ highlighted on the site is the IHR’s very own Chair of Biostatistics, Professor Max Bulsara. Max is known for his expertise in undertaking complex analysis but also the ease with which he can convey these skills to new and eager researchers. It is great to see the important role that Max, and his biostatistics team in the IHR, has made to the research success at Notre Dame recognized in this way. In the coming few weeks, the IHR will be running three statistics training courses. 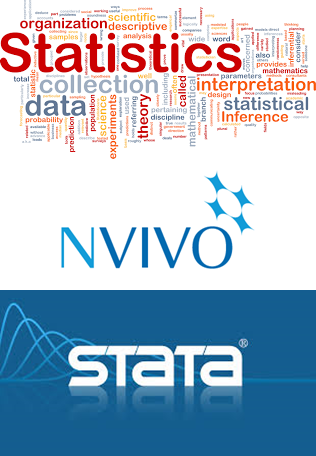 Friday 8th June: Introduction to QSR NVivo (Version 11) will be offered by A/Professor Caroline Bulsara. 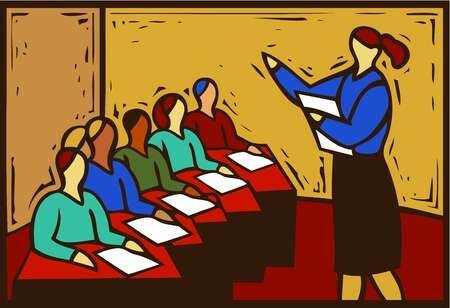 This hands-on session is intended to provide the necessary experience to analyse qualitative data. Monday 25th June: Introduction to STATA v15 will be run by Dr Paola Chivers and will provide an understanding of using the drop-down menus of STATA to undertake data management and simple statistics. Monday 25th June: Logistic Regression. Provided by Professor Max Bulsara, this workshop will provide give you the practical knowledge required to undertake logic regression modelling. IHR Adjunct researcher, Dr Asha Bowen has led a team whose work has resulted in the publication of the first National Healthy Skin Guidelines. The report is housed on the Telethon Kids Institute website with a suite of learning tools including photographs, a visual clinical handbook and an interactive questionnaire. The Guidelines were launched last week by Indigenous Health Minister Ken Wyatt and has been endorsed by close to 20 health organizations. Details on how skin infections affect Western Australian children and adolescents can been found in one of the group’s recent publications. 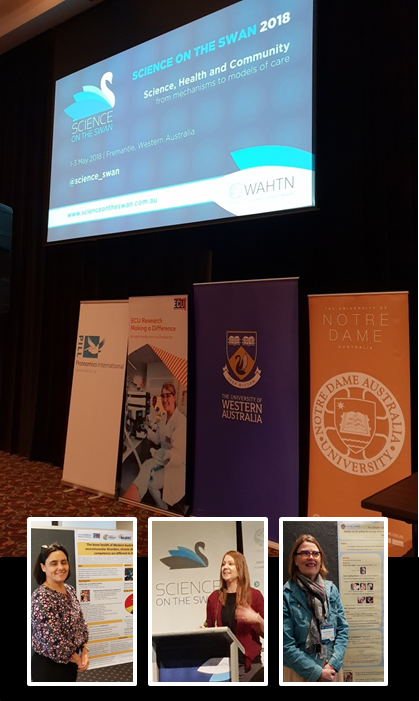 Spanning three days, the 2018 Science on the Swan Conference was held at the Esplanade Hotel in Fremantle. One of the keynote speakers at this year’s conference was Prof Jill Zwicker who talked about her work in DCD in children. Jill’s work is closely aligned with research by a number of other IHR staff and HDR students, some of whom also presented their studies. 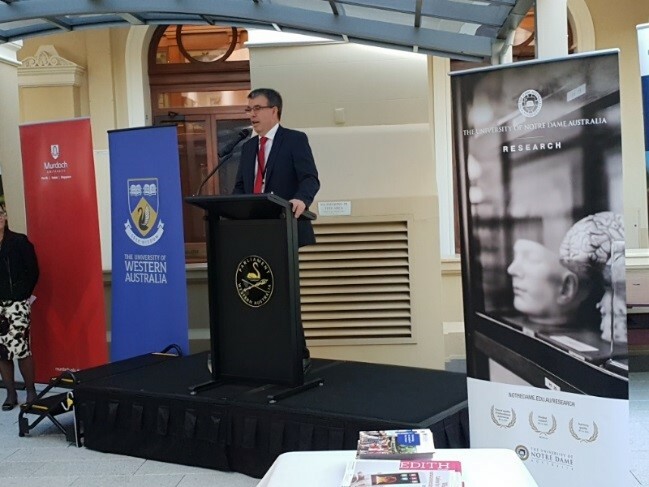 One of the highlights of the event was the attendance of the Federal Minister for Aged Care and Indigenous Health who announced $6.1 million in funding to the WAHTN over the coming 3 years. 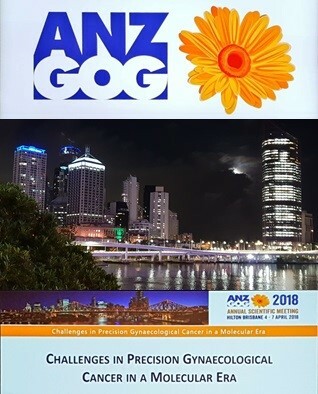 The Australia New Zealand Gynaecological Oncology Group (ANZGOG) held its Annual Scientific Meeting in Brisbane last week. The purpose of ANZGOG is to improve outcomes and quality of life for women with gynaecological cancer through conducting and promoting cooperative clinical trials and undertaking multidisciplinary research into the causes, prevention and treatments of gynaecological cancer. This year’s Scientific Meeting was led by the IHR’s Adjunct Professor Paul Cohen with Dr Aime Powell and Professor Jim Codde attending. Spinnaker Health Research Foundation is a key funding source for health research in the south metropolitan area that all research active staff and higher degree students should know about. 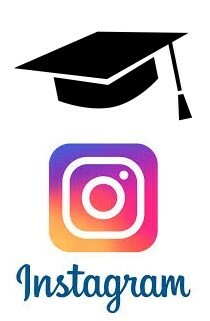 The Foundation provides travel bursaries, PhD scholarships and small to medium sized research grants. 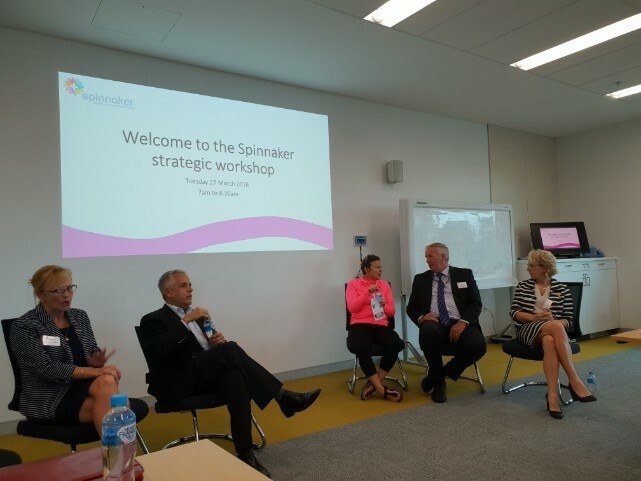 At a recent workshop the Foundation received input from Paul Forden, CEO SMHS, Geraldine Carlton, ED Organisational Development & Transformation, Professor Fiona Wood, Burns specialist, Tim McInnis, Head of Development, Telethon Kids Institute & Professor Shirley Bowen, CEO SjoG Subiaco. On the 13th March, the Minister for Water, Fisheries, Forestry, Innovation & ITC and Science, the Honorable Dave Kelly and Professor Dawn Freshwater (UWA Vice Chancellor) hosted the inaugural ‘Science meets Parliament’ event to enable members of parliament to learn about initiatives and opportunities directly from researchers from all the Western Australian universities. The event was well attended by representatives of Notre Dame and provided a great opportunity to network within Parliament House. The Australian Government has just announced it will provide almost $3 million to support a ground-breaking project that helps women identify whether they are at risk of developing ovarian cancer. The project will be run by the Peter MacCallum Cancer Centre in Melbourne where tissue samples of 11,000 women diagnosed between 2001 and 2016 will be tested to see if they are carriers of the BRCA gene mutations. 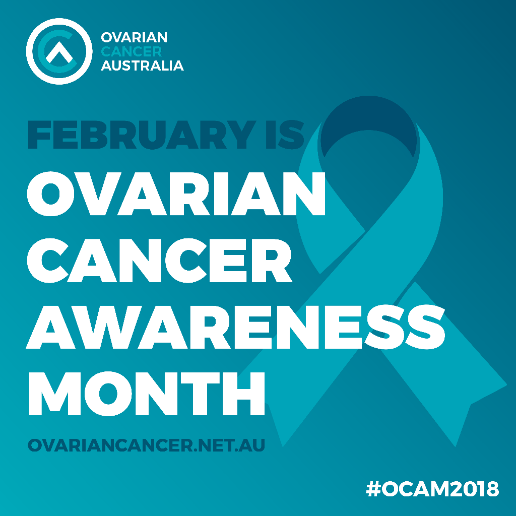 As reported on the ABC News, approximately 1,500 Australian women were diagnosed with ovarian cancer last year and estimated 1,000 more died. IHR Adjunct Professor, Dr Paul Cohen, is a co-investigator in the study which will see Western Australian patient samples from SJOG Subiaco and KEMH included in the study. Research by the WA Bone Research Collaboration (WABRC) has confirmed that the number of children aged between 0-16 years presenting at PMH with fractures has risen significantly over the last decade. 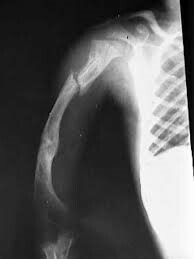 Adjunct Professor Aris Siafarikas suggests this may be a sign of increased risk of osteoporosis in our community and is seeking to establish an integrated care clinic at PMH for children with Osteogenesis Imperfecta. Further details on this condition can be found on patient support group’s web site. 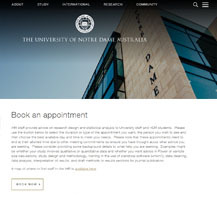 For people with an interest in this research and have a suitable background, the WABRC has just advertised for a PhD student to join the team through Notre Dame (see below). 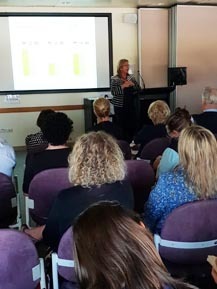 The Institute for Health Research has just commenced running its series of lunchtime seminars on a variety of research and statistics topics. Over 13 people attended the first session which suggests the following sessions may also be well attended. Details of the sessions can be found here but please remember to reserve your spot as there is limited number of places in the room. Similar events run at PMH are also listed on the IHR Web site. 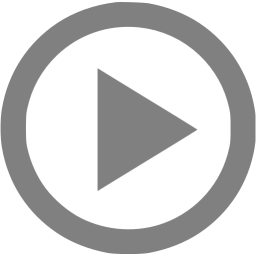 These can be accessed remotely by using Scopia video conferencing. Although some of her initial findings were reported in June 2017, her work has just received coverage in SciTech’s online magazine, Particle. Go online and see what she has found! 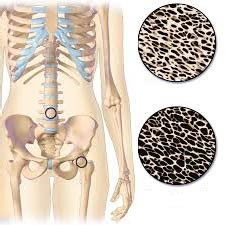 Notre Dame is offering a PhD scholarship worth $30,000 per annum or up to three years for a suitable applicant to join the successful international collaborative research team looking into bone health in apparently healthy and/or diseased adults and children. WA Bone Research Collaboration (WABRC) was established in 2016, and includes Dr Paola Chivers (Notre Dame), Dr Nicolas Hart (Edith Cowan University), Clinical Lead Adjunct Professor Aris Siafarikas (Princess Margaret Hospital) and Dr Timo Rantalainen (University of Jyvaskyla). This year has been a good one for the IHR with many new faces joining the team and as outlined in the Institute’s 2017 Annual Report. 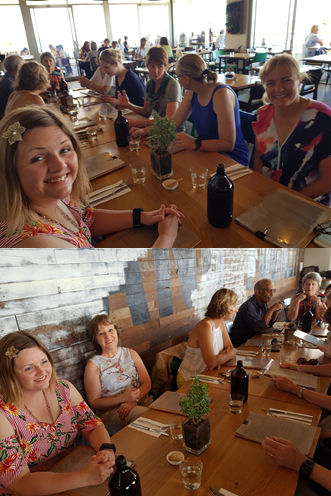 Despite the collegial nature of the team, the recent end-of-year breakfast was the first chance for some of our part-time staff to talk to the ‘names’ of those they had heard of but yet to meet. On behalf of the whole team, we wish all our students, colleagues and collaborators a very Merry Christmas and Happy new Year. We look forward to seeing you all in 2018! Casey was been working towards her research degree on a part-time basis through the School of Health Science. 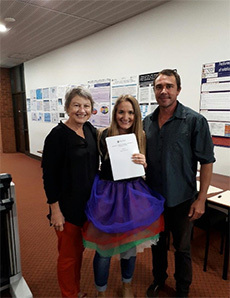 Pictured here in the ceremonial “dress” with her two supervisors, Professor Beth Hands and Dr Duncan Picknoll just prior to presenting her thesis to the Research Office for examination by independent reviewers. Graduating with his Doctorate this week was Dr Duncan Picknoll. Duncan’s thesis was titled “The nature and scope of outdoor education in Western Australia”. 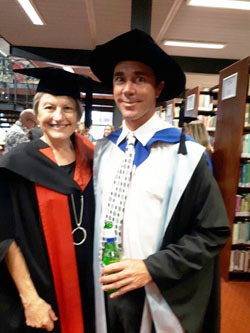 Although enrolled to do his doctorate through the School of Education, Duncan is the Senior Lecturer and Coordinator of the Bachelor of Outdoor Recreation in the School of Health Sciences so well known by many students, some whom were there to cheer for him as he received his degree. Duncan was supervised by Professor Beth Hands who is pictured with him in the adjoining photo.